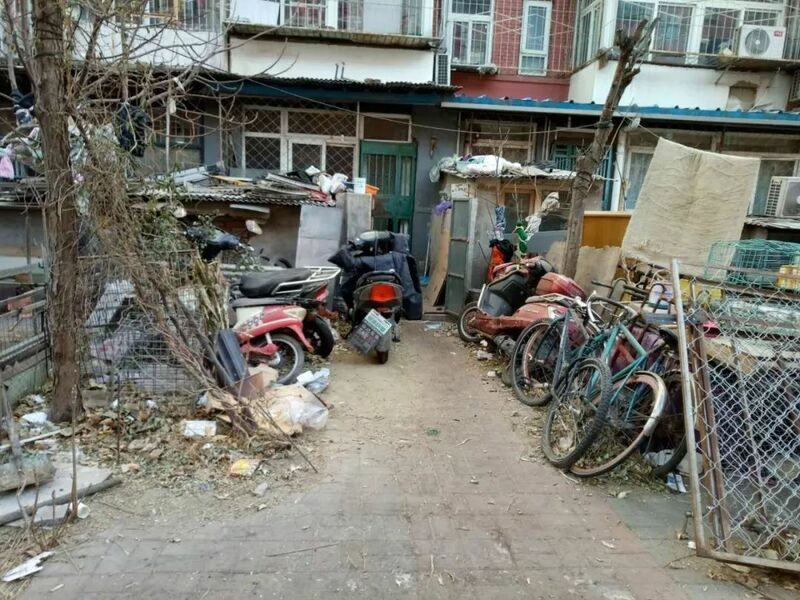 "I live in Xiluoyuan south is an old district, Central District Building 13 and building 12 public green Sidaluanjian, rubbish is more and more, so affect the community environmental health. Especially a building 13 unit door, was at the foot of heaps of broken furniture stumbled, particularly heart block." Recently, who lives in southern Fengtai District Xiluoyuan Wang hotline to reflect his distress. January 17th afternoon, reporters came to the San Siro in South Park, a large green space between residential building 13 and building 12, saw a large and small, complex shapes and materials of various small shed, shed. At the 12 floor, residents of the individual living in a house of gable open, also installed on the doors, open the door directly into the downstairs in the green, and on both sides of the door piled a lot of debris. The reporter found in the building next to the wall corner, someone with iron and bricks to build a small house, about a dozen or so. These houses are covered by asbestos, the door is full of litter. No. 13 in front of hundreds of square meters of green space, outside the individual residents in private a small house with sticks or iron ring up a shelf space size, flowers and vegetables, put debris, the public green space into a private domain. A few circle on the ground is also stacked with broken wood, old furniture, foam boxes and broken quilts and other flammable materials. Mr. Wang told reporters, "Xiluoyuan south in some residents of Building No. 12 layer will also change their own balcony renovation, open the small courtyard, debris piled up on the inside. These places are public green, nowadays, it is difficult to enjoy the other residents." Mr. Wang also said that between Building No. 12, No. 13 and the surrounding green Sidaluanjian phenomenon for many years, they used to reflect the relevant departments, property companies and residents also to remove. But now these good times don't last long, Sidaluanjian phenomenon and a stirring among the dry bones. That Mr. Wang is particularly concerned that some of the elderly living in a broken wooden table, put a lot of long-term accumulation of broken cardboard boxes, collecting old newspapers, waste paper and other flammable materials piled up in the circle on the green, Beijing's winter day wind, if these waste burning, not things. 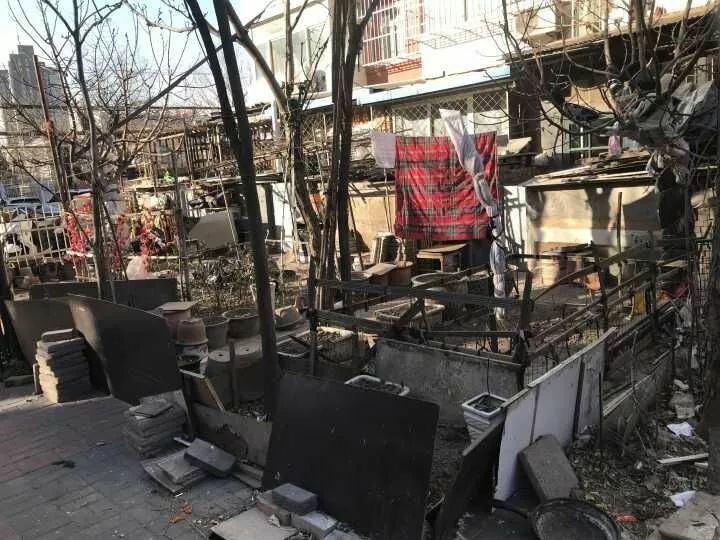 Residents Ms. Lee also urgently appeals, hope territorial departments can focus on remediation Xiluoyuan in the south of the environment, the eradication of Sidaluanjian, jointly create a clean and beautiful environment of the community.